- This is an article I wrote almost three years ago. Inspired by a conversation with a learned PNGean, I am republishing – the thesis has not aged although the cast of characters has. Is there a democratic Papua New Guinean nation – or is it merely an arbitrary state built on a shaky, crumbling foundation of disparate traditional customs and the ‘Melanesian Way’? Has the system of government become a hybrid of concepts that fail to work on any level – a bastardization of both democracy and custom? According to Narokobi, those posing the question are “cynics”, “hypocrites” and display “spiteful arrogance.” The concept is “cosmic” making a definition “futile” and “trite.” He failed to explain how so. 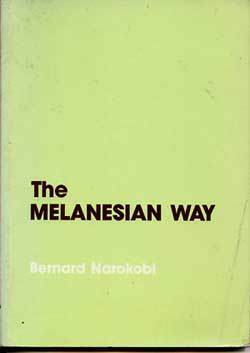 Apparently, if Moses didn’t ask God to define himself then the messianic Narokobi should not be required to define the Melanesian Way – notwithstanding that he was writing a book about it, making one wonder what the rest of the book is about. The idea of belonging to the ‘insider’ group that carries the knowledge of the Melanesian Way is so emotionally charged and identity defining that it usually provokes wide-eyed head nodding – but no conceptual challenge. Yet, concepts only defy explanation when they are not widely understood. Given the nebulous nature of the ‘Melanesian Way’, it has become an exploitable idea. 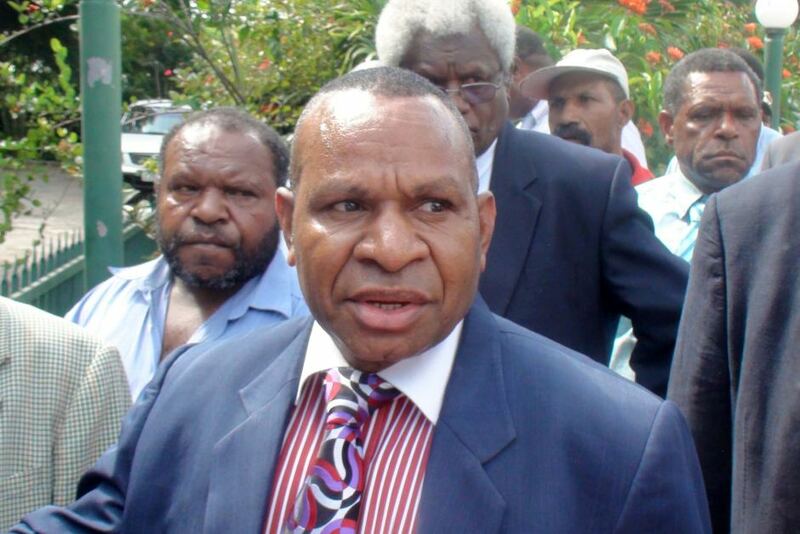 The reconciliation proved tenuous when, despite their Memorandum of Understanding ongoing into the elections, O’Neill froze out Namah relegating him and his party to the opposition benches while preferring to rekindle old alliances with the Grand Chief (in 2015, the alliance is tenuous) and other veteran power brokers. It suggests that the Melanesian Way is redolent with self-serving pragmatism and a fickle approach to commitment that can be called on, or not, according to whim. If Namah thought that the Melanesian Way was going to work for him as he bad-mouthed his former coalition partner, he’d seriously miscalculated. This was western-style politics. The customary practices of the Big Man and the wantok system worked well in a small, encapsulated tribal community – it doesn’t translate into the modern political structure of a nation/state where favouring of wantoks is nepotism and arbitrary distribution of largesse in return for allegiance is bribery. When these customary practices are tolerated within the modern PNG machinery of government, compliance with democratic principles becomes populist lip service. Introduced, western principles and PNG cultural practices co-exist uncomfortably. The Christian religion, for instance, missionary imposed, it is now widely embraced. To be faithful to both social systems requires a series of compromises that either makes a mockery of Christian doctrines or insults the integrity of custom. Fashioned along the line of the Jewish faith, the Seventh-Day Adventist (SDA) Church, for example, forbids the consumption of pork and shellfish. But pork is the ceremonially meat, and shellfish are a staple part of the diet of those that live on the coast and outlying islands of PNG. In PNGs social media site ‘Sharp Talk’, there has been a lengthy conversation trying to reconcile Christianity with tradition by seeking a biblical justification for the customary practise of polygamy. Although PNG has laws against adultery, polygamy is tolerated. But is polygamy just another name for adultery? Does the law, (based on Christian ethics) or custom take precedence in PNG or does that depend on the perpetrator? At independence, PNG was also left with a political legacy that was alien and ill understood and often at loggerheads with custom. Nicholas Bainton in his book ‘The Lihir Destiny’, noted that in the very first national elections in which Lihirians took part, many locals had no idea what was required. They wanted to vote for US President Johnson – as they had pleasant memories of the generosity of the Americans stationed there during World War II. It all fitted into a traditional context they understood – President Johnson becoming their ‘Big Man’. In the middle of the recent elections, two helicopter loads of armed PNG Defence Force personnel landed at Ess’ala Station in Milne Bay. They stormed the police station and took control of the ballot counting by force. The returning officer for the area hid, fearing for his life. 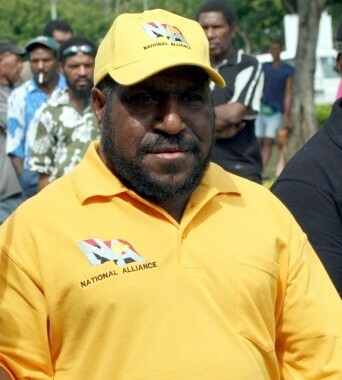 The area’s incumbent MP, Moses Maladina had deployed the troops. Electoral Commission figures had Maladina behind in the count – he never caught up, eventually losing his parliamentary seat. Was this a factor in the deployment? Was it a justification? Maladina is a Big Man – even more so as he recently was awarded a medal in the Queen’s Honour birthday list. Interestingly, the imperial award cements and extends his customary stature: Big Man tribally; Big Man nationally and now internationally. Perhaps, under PNG custom, Maladina was just doing what would be expected of him as a tribal chief – defending his patch, with force if necessary. Whatever the justification, Maladina stopped short of physically leading the charge himself. ‘Big Chief Maladina’ sat that one out. Not so Belden Namah as he stormed the Supreme Court last May to defend his patch. What hope democracy when quasi-legitimate force is used to stifle the democratic process? While innocent until proven guilty is a western, democratic legal paradigm that has been embraced tightly – especially by the elite of PNG – law enforcement is totally inadequate and open to bastardization by quasi-traditional practices like bribery and a reverence of the untouchable Big Man. So disdainful are many Big Men towards the law that they simply ignore it as in the recent bribery charges against former Speaker Jeffrey Nape who simply failed to turn up at court. To Nape criminal charges are not a novelty, he knows they’re rarely pursued. Big Man status insulated, Maladina, Nape and Namah from western-style justice – however, that paradigm shifts a little with their fall from grace. Now their fate securely rests with the conquering chief (O’Neill) according to his whim. For democracy, this is disastrous. For while parliamentarians may have the customary status of ‘Big Man’, they are not in the village – they are overseeing and participating in a democratic national government – village rules don’t apply and status should not offer impunity from the rules of the system in which they are participating – although, at present, it does. 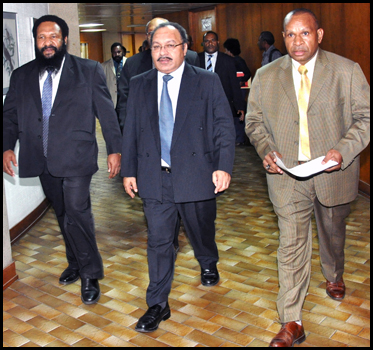 In light of the hybrid nature of governance, is PNG really a nation or is it an anomalous entity where the democratic political administration of the state has become a series of vested interests paying lip service to national sentiment and democracy? Whereas in most first-world countries, self-conscious nations create nationalism in a bid for self-determination and statehood, PNG already has a state – but what of the nation? I am provoked to respond, after reading the article written by Dr. Susan Merrill. Whether this is an academic paper as she claim it as her thesis or not, there is so much shallowness and her thesis is only limited to the oppinion of one person (whoever s/he may be), political incidences, coupled with the one book authored by the late melanesian statesman, the late Dr. Narakobi. How long has she lived and carried out her research in order to have such a so negatively biased critical analysis?. Much of her discussion is limited and centered only on current PNG political culture as viewed by her, based on the melanesian concept of ‘bik man’ and not ‘big man’ as she claimed. The ‘big man concept’ is her corrupted version of the original melanesian traditional ‘bik man concept’. She may be right in stating ‘Whereas in most first-world countries, self-conscious nations create nationalism in a bid for self-determination and statehood, PNG already has a state – but what of the nation?’, however the analogy used is a comparison made on haste premises which leads to haste conclusions because the state of well established first-world countries is used to compare PNG, a third world-country for that matter according to her logics. Their cultural background to are obviously not the same as PNG. So, to use their case and reason PNG’s case to be the same is academically not sound. We have differing time period, cultural and geographical back ground. So tell me, what similarities do they have with PNG? If there are lots of differences, then do not expect the same end result because it will not be the same and you will be frustrated. And from the language that Dr. Susan is using, she is either frustrated or she is arrogant and disrespectful of Melanesian traditional culture. If the Melanesian culture was not used to cool off the recent political impasse experienced lately, PNG would have obviously seen a bloody civil unrest because both the military and the police were caught up in the impasse. It is interesting to see that our noble Melanesian cultural norms and traditions are being arrogantly belittled by ignorant arrogant outsider’s in the likes of Dr. Susan who try to use their bastardized foreign western paradigms and chip away our cultural practices with arrogance and disrespect. Dr. Susan says ‘Is there a democratic Papua New Guinean nation – or is it merely an arbitrary state built on a shaky, crumbling foundation of disparate traditional customs and the ‘Melanesian Way’? Has the system of government become a hybrid of concepts that fail to work on any level – a bastardization of both democracy and custom?’ and I will tell you ignorant master ‘what have you learnt from the political impasse and what have you learnt from the Bouganville case?’ That’s my traditional Melanesian culture at work to solve political problems in a Melanesian way. A system that is completely unique in the world. Do you have any credit to offer to the ‘big man’ who were able to solve these? My culture is not desperate to find its place in the democratic world. My Melanesian culture has being living before the birth of Dr. Susan and before the fore fathers found the nation of PNG and it will live on as long the native PNGans live on this planet earth, breathe and have their being. The PNG Melanesian ‘bik man’ concept is a cultural concept and any-one, foreign to the culture, doing critically analysis on the subject of discussing is pruned to sway from the reality as the critic will be obviously based on preconceived foreign pradigm of the society of the analizer. As is the case of Dr. Susan (a westerner viewing Melanesian cultural concept from the western paradigm). Dr. Susan’s political ‘ Big man’ concept is the same cultural ‘Bik man’ concept of melanesian cultural. Dr. Susan need to spend time in the country side. live and experience the cultural aspect of the country before any critics can be made if her reasons needs to have weight in her discussion and if she wants to be an authority in her thesis. I am actually interested in this topic because currently I am in the process of doing my Masters Thesis based on the retreat of the ‘bik man’ concept in the Melanesian society (the actual topic will not be given here because it has not being collated yet). I will acknowledge your contribution in my forwarding remarks in my thesis. Read: “The Anthropology of Morality in Melanesia and Beyond”. Edited by John Barker (2007). Ashgate.